Women represent just 16 percent of Michigan's local chief administrative officers despite making up more than half the population. You can help increase that number by providing women executives—and those who seek to become them—the content, tools, and opportunities that can help serve their specific needs. Your gift of $16.50, $165 or even $1,650 will help remove barriers for highly qualified women entering the field. The League's 16/50 Project packs a lot of learning—lectures and panels filled with content, tools, and tactics. Participants dive in on key topics instructed by municipal experts, build their executive leadership expertise, and gain insight on the application of their new skills from current municipal managers. You can make sure that we have strong local managers—and strong local communities. Supporting women's voices in local government is a great investment. So proud to be a part of this inaugural group - and excited for more women to get the opportunity to participate! As part of the first group of 16/50 participants I believe this project will make a difference! Thank you to MML for spearheading the efforts. Helping prepare the next generation of women municipal leaders is vital to the success of the profession. Strong local communities are the key to Michigan's success! Loved the focus on empowering women in governance! Great, spot-on idea! Our mission is to Help Municipalities Help Themselves, and more diversity in the workplace is a good thing. 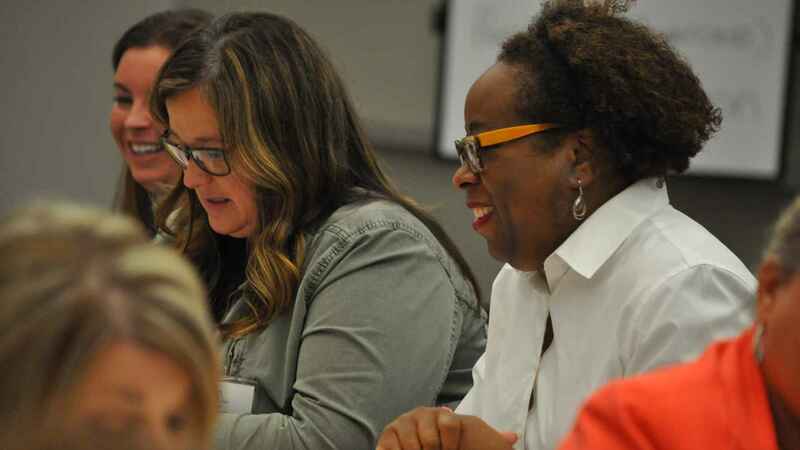 DTE Energy supports women leaders in government. Great, worthy cause. Let's do this! I believe in empowering women and the 16/50 project!